This was a PR campaign specifically for radio, to mark the start of the English apple season and encourage consumers in the UK to eat more English apples. We also produced a short video for English Apple’s social media pages. Shout! Communications has worked on this annual story for several years, finding new ways of promoting the brand each time. We secured 13 interviews on radio, predominantly on BBC regional stations across England, plus further coverage from our podcast on local stations. All opportunities featured key messages and promoted English Apples to consumer audiences. The video was placed on the brand’s social media sites. 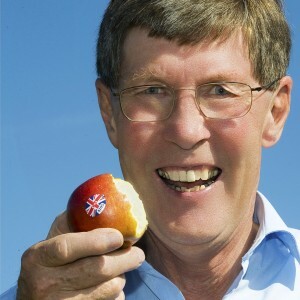 Adrian Barlow, Managing Director, English Apples and Pears.